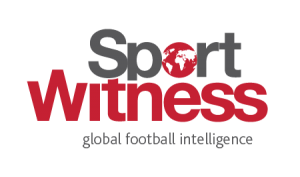 Last summer it was repeatedly claimed in Portugal that Newcastle United were very keen on Bas Dost. There was even a questionable claim, for obvious reasons, that Newcastle had offered Sporting €40m for the Dutch striker and had it turned down. With the footballer having a €60m release clause, that was the price Sporting were pushing out to the media. Whilst all that was arguable and Dost may have been available for much less, that the Dutchman was very happy with his Lisbon life was just as big a barrier. Things have changed greatly, according to Portuguese newspaper Record. 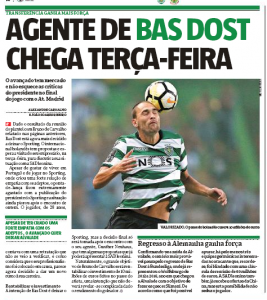 Dost is ‘determined’ to leave Sporting and his agent is travelling to Lisbon this week to help in that regard. The club last week lost 2-0 to Atletico Madrid away from home in the Champions League. After the match, colourful (there ate other words which could be used, probably more fitting) president Bruno De Carvalho went on a social media rant against his players, calling their professionalism into account and basically tearing a strip off them. They’d had enough and several answered back on social media with an identical message calling for respect from the club president. Bruno being Bruno meant he was only likely to fly off the handle even more and he suspended 19 players, including the clubs major stars such as William Carvalho and Dost. Dost is apparently fuming and wants out, which can only be good for Newcastle United and any other interested clubs. Sporting would want to make a big profit on the €10m they paid, and Newcastle would surely have to go above the €20m figure they’ve so reluctant to reach. Bast Dost is 28 years old, he’s scored 29 goals so far this season and found the back of the net 34 times during the last campaign.